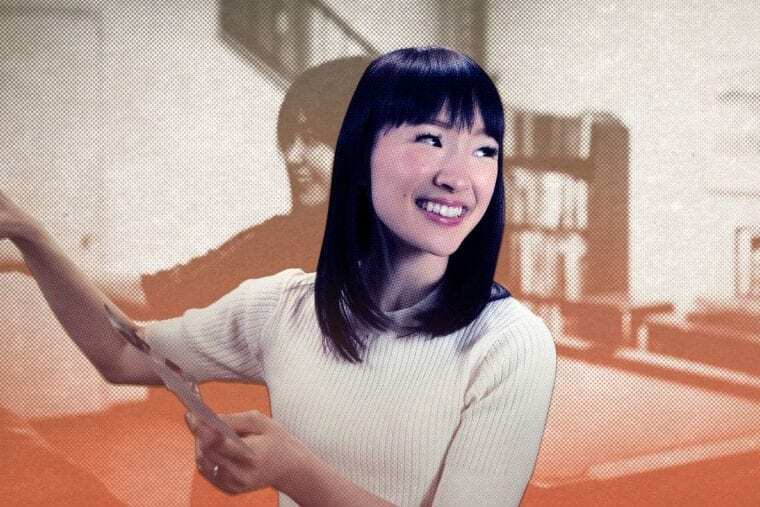 Marie Kondo’s best selling book, The Life-Changing Magic of Tidying Up, has been in the zeitgeist since 2014, but it wasn’t until her new Netflix show, which premiered on 1 January, that her trademark KonMari method somehow became a flashpoint issue. Yup, 2019 so far has been the year of divided opinions on whether Gillette gets to tell you to be a better man, and whether Marie Kondo can tell you to only keep 10 books. The internet is flooded with pieces about what it’s really like to KonMari your house and people rushing to thrift stores to buy all of the stuff others are getting rid of. The memes are honestly more enjoyable than the show itself. The concept of tidiness that Kondo has turned into a franchise is deceptively simple. It’s a two-step process: First, you gather all your possessions to one place. You do this in a specific order, looking at items like clothes or cooking equipment first, before tackling things that hold sentimental value. This is so that, by the time you reach things like old photographs or objects that hold memories, you are more likely to recognize the ‘Aha!’ moment that Kondo grounds her technique on. This is the moment where you pick up each and every object and ask yourself, “Does this spark joy?” On the show, you can see Kondo visually acting it out, one finger in the air, another foot off the ground, doing a little jump. Joy! In the second step, if it sparks joy, you keep it. If it does not, it goes. But Kondo also believes that each object has a kind of animism, so you must thank it for allowing you to use it, before throwing it away. Once you’ve discarded all the items you don’t need, you come to the next step of the process, which is neatly folding and storing things in an organized way. She details specific ways of folding clothes, advises stacking boxes into drawers to separate items, and mandates always keeping everything back in the same place. Clothes feel more joyful when they’re organised from light to dark colors, she says. These socks have always wanted to be folded in this way, she says. And honestly, if you’re that far in, it’s hard to question Kondo’s ‘magic.’ The process obviously cannot happen in a day, so Kondo visits the homes of people over several weeks, on the show, expressing her joy in Japanese as she sees the changes each family makes in their lives. This is the most identifying factor about Marie Kondo — she is almost always smiling, laughing, excited; she loves mess, she proclaims on the show, because the prospect of tidying is so appealing. 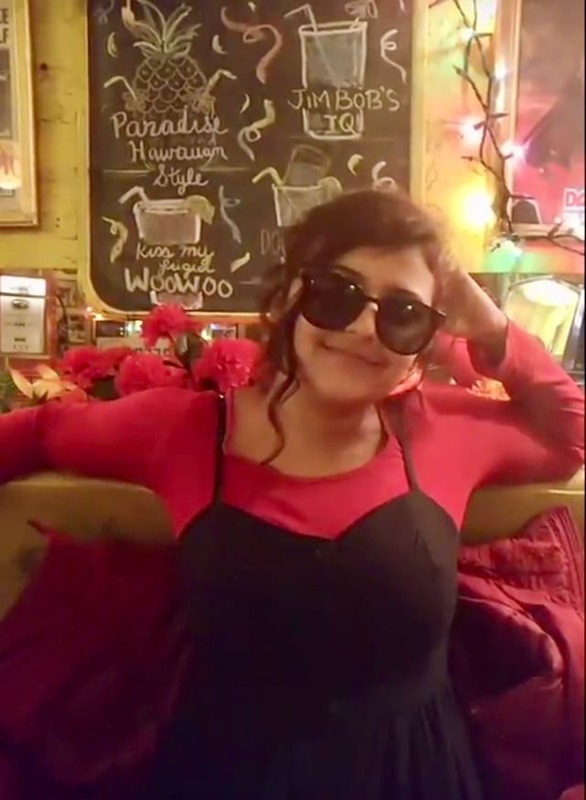 She is joy, personified. And while that’s lovely to watch, after a while you start to wonder — is this what we’re all aiming for? Is our ideal life filled with … just joy, and nothing else? In the age of Instagram and Wellness™ the optimization of our lives to look perfect and colour-coordinated, is not just for visual appeal. It’s somehow become a reflection of our inner selves. Everything around us, every plant and book, must spark joy or be discarded. Nevermind that this seems to come from an obvious place of privilege — it’s easy to discard things when you know you can easily buy them again. But lately, people have begun to question this assumption that our lives must be either worthy of a post or disposable. In her now-viral essay for BuzzFeed, Anne Helen Petersen argues that the media that surrounds us — including Kondo’s show — has resulted in us internalizing the idea that our personal spaces should be as optimized as ourselves and our careers. “The end result isn’t just fatigue, but enveloping burnout that follows us to home and back,” says Petersen. And she’s right. It is tiring to constantly be seeking joy, tiring to have to tick this off a to-do list as a way to bring yourself joy rather than just being able to experience it as is. Kondo seems to be selling a method to guarantee joy. In her book, she promises the process of tidying up is really magic — you will be emotionally and spiritually fulfilled, your skin will clear up and you’ll lose weight, you’ll be able to understand what you truly want from life. She truly believes that a tidy life is automatically a joyful one. But what about things that are sticky and messy and complicated, objects that bring up anger or pain, books that challenge your perceptions, clothes that you don’t wear but hold cultural value — what about more complex emotions than joy? Sanitizing our lives so we feel joyful all the time seems to ignore the more weird and wonderful parts of what it means to be alive. While a neat, organized house is beautiful to look at, I’d take a messy one, filled with objects and memories any day.